Patch 15.4: Balance Part 3, Deadfront Revamp, New Dungeon, New Accessories, Bug Fixes, and more! Balance Part 3, Deadfront [Hell] Revamp, Ruins of Rudene Revamp, New PVE Rings, New Lv. 190 Necklaces, Bug Fixes, and other Miscellaneous Improvements! 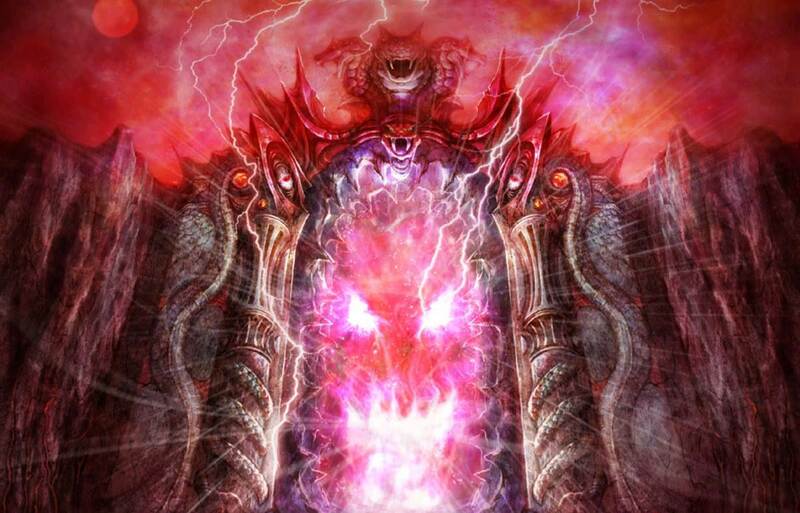 Deadfront [Hell] has been revamped in a couple of various ways. Both new players and experienced players can enjoy this event. Level Requirement to Enter: Lv. 166~200 (Best location for EXP Farming from Lv. 166~180). 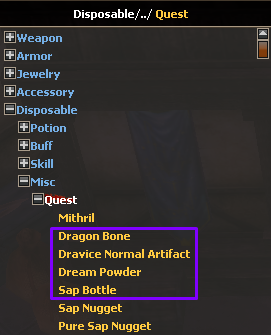 Item(s) Required to Enter: Deadfront [Hell] Map (Purchase from NPC Imoen in Chain of Fire for 1 Dil). Dil now drops from all monsters, the amount of Dil dropped increases the further you progress into the event. Grade Points have been moved from the Crespo Abyss Bosses to the Deadfront Bosses. The Ruins of Rudene Instance Dungeon has been revamped for party play! You can enter this dungeon through the Statue located in Acquirai Ruins. 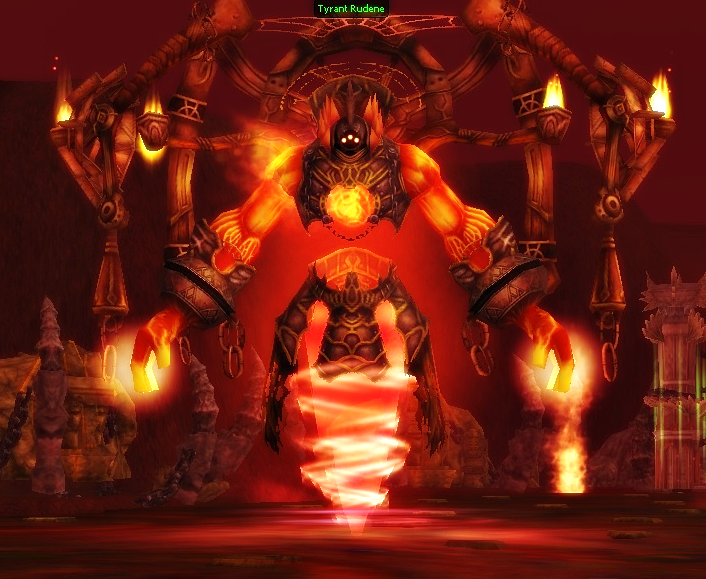 No special tickets or items are required to enter the Instance Dungeon. This dungeon is for mid-geared players, with the exception of the final boss. The final boss was balanced towards end-game players. The Ruins of Rudene InDun is very straightforward, killing all monsters of a section will open a gate leading to the next section and so on. There are also several mini-bosses in the dungeon that you must defeat to advance deeper inside. 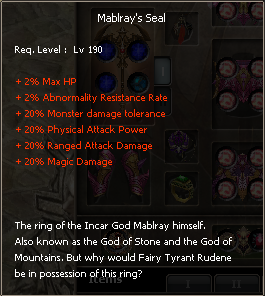 Note: All three of these new PVE Rings are TRADABLE. 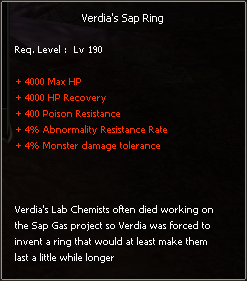 These new PVE Rings are also SPECIAL rings, meaning that you may only equip one of them at a time and cannot be equipped with other special rings. 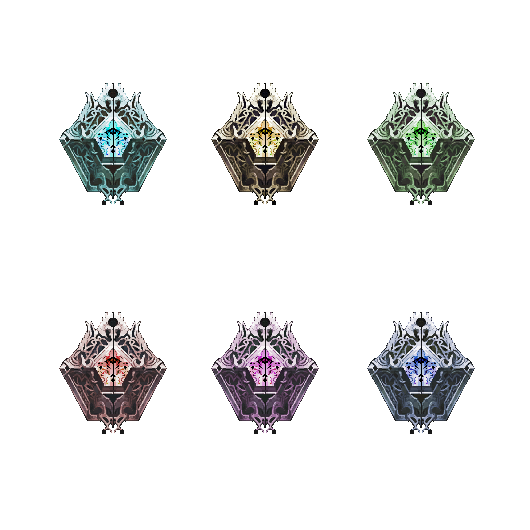 These new necklaces drop from the Final Boss in the Ruins of Rudene Party Dungeon at a 70% chance. If Rudene does not drop a necklace, then he will drop either a Blacksmith Talisman or Mablray's Seal. He will drop an item 90% of the time. Added some items to Agency that were missing, more updates to the Agency will come in future patches. The launcher has been upgraded with new functionality. Staff members will have access to a new tool on our Intuitive StaffCP that will allow them to set timers directly onto the launcher. More upgrades will be coming soon to allow notifications about upcoming events via launcher. This balance patch was made from feedback and suggestions after Balance Part 2. These are not final changes. We will adjust the things that needs adjusting in Balance Part 4. Fixed a bug that would interrupt the opponents skills during the entire skill's duration. Adjusted Critical Resistance from ↑30% to ↑18%. Adjusted PC Damage Rate by ↑5%. Skill Cooldown Period has been adjusted from 15 seconds to 1 minute and 20 seconds. Adjusted Skill Damage by ↑320%. Adjusted PC Damage Rate by ↑12%. Adjusted PC Damage Rate by ↑10%. Adjusted Skill Damage by ↑10%. Adjusted Skill Damage by ↑15%. Increased De-Target Duration from 0.5 seconds to 2 seconds. Adjusted PC Damage Rate by ↑15%. This skill now also debuffs the target's Curse Resistance by ↓1000 for 5 seconds. Adjusted the effectiveness of Shield Regeneration by ↓90%. Skill Cooldown Period has been adjusted from 20 seconds to 50 seconds at all Skill Levels. Totem is very fragile and can be destroyed quickly. Decreased the amount of Mana drained from targets from ↓90% max MP to ↓80% max MP. Skill Cooldown Period has been adjusted from 15 seconds to 22 seconds. Changed the amount of Max Shield gained from this buff from ↑10% Max Shield to ↑10,000 Max Shield. Skill Cooldown Period adjusted from 1 second to 2 minutes. Decreased buff duration from 3 minutes to 2 minutes. Increased Damage Reflection from ↓123 Shield to ↓246 Shield per hit. Target is unable to move for 1.5 seconds. Target is unable to attack for 1.5 seconds. Target's Guard Rate is decreased by ↓15% for 1.5 seconds. Target is unable to use potions or fish for 1.5 seconds. The first hit of this skill can be used for PK. Skill Cooldown Period has been adjusted from 20 seconds to 30 seconds at all Skill Levels. Decreased buff duration from 10 minutes to 2 minutes. Increased Damage Reflection from ↓123 Shield to ↓246 Shield. Adjusted Pet Damage Share from ↑25% Shared Damage with Pet to ↑10% Shared Damage with Pet. Decreased the amount of Critical Damage that is reduced from the Target's from ↓37% Critical Damage per stack to ↓10% Critical Damage per stack. Skill Cooldown Period has been adjusted from 16 seconds to 25 seconds at all Skill Levels. Adjusted Skill Damage by ↓10%. Removed ↑150 Critical Rate per stack. 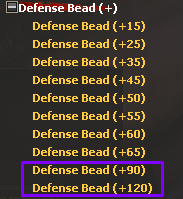 Decreased the amount of stacks that Party Members receive from 40 stacks to 10 stacks. Self-Buff (Aqua Remover) is unaffected. 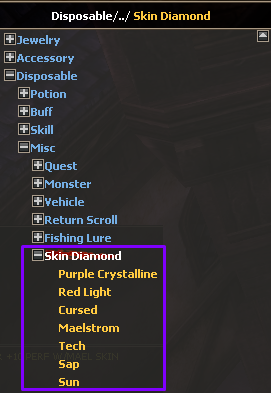 Added new buff, Increases Monster Damage Tolerance by ↑2% per stack. Increased the amount of stacks received from 39 stacks to 40 stacks. Adjusted Mana Spend Reduction from ↓35% Mana Use to ↓50% Mana Use for 50 seconds. 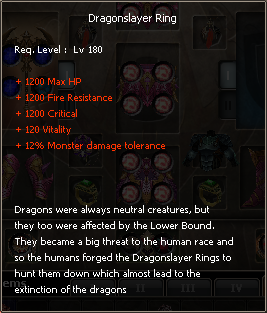 This skill now increases Abnormal Resistance by ↑10% for 50 seconds at Skill Level 5. Skill Cooldown Period has been increased to 70 seconds from 60 seconds on all Skill Levels. Adjusted Skill Damage by ↑20%. This skill now decreases enemy movement speed by ↓200% at a 70% chance. Debuff Duration has been increased to 5 seconds from 3 seconds at Skill Level 10. Skill Cooldown Period has been increased to 18 seconds from 16 seconds. This buff now applies itself to the caster properly, without the need to switch to A mode or have a target selected. Adjusted Critical Resistance received from ↑16% Critical Resistance to ↑8% Critical Resistance. Skill Cooldown Period has been adjusted to 32 seconds on all Skill Levels. 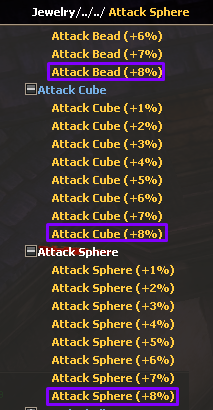 This skill now stops enemy movement for 3 seconds at a 90% chance. Renamed NPC Rezeena in Ardeca to "Dungeons"
Pretty descent boost on bagi, vs and seg. +1 on Rapite [Pretty Dope] ...In general, nice update. Nice job guys as always! I still cannot connect, it kicks me to the login screen when i try to connect to the game. My launcher updated to 15.41 already. Is the server still down? They're repairing something . Go to dkring discord. 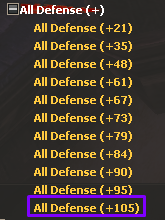 One of the best patch/updates ever made, Rising staff team is amazing , love you all guys! !